Lakenham parish, once a separate settlement on the River Yare, has now been absorbed by the city of Norwich and is just a district of the wider city today. 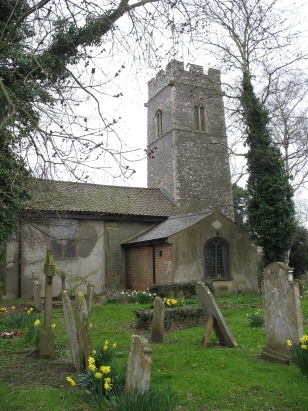 Prior to the late 1810s this village on the Yare held few inhabitants and was a quiet rural place marking the crossing point of the river. In the latter half of the 1810 - 1820 decade the city finally exploded outside its mediaeval walls and suburbs rapidly grew up at the edge of the city but within the parish of Lakenham. Baptisms begin at around 6 per annum rapidly expanding to in excess of 100 per annum within just a handful of years. St John's church has an elevated setting on a wooded bluff above a meander of the river. Sadly this charming setting has deteriorated with the encroaching housing and the church has to be protected against vandalism by screens over its stained-glass windows. 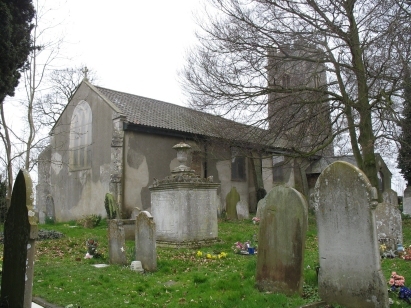 The church itself is 13th century with the later tower following in the 14th. These records were transcribed from microfiche 4 to 9 in the collection of the Norfolk Record Office. These fiches represent a fairly old filming and there are a few problems with clarity in places. With the urban setting there were also frequent changes of hand-writing and not all were as clear as would be hoped for. Despite these caveats it is to be hoped that not too many errors will have crept into the transcript.